Starcity, a co-living development startup that is known for building “dorm living for adults,” is planning to erect a 270-unit building dubbed “Minna” in SoMa as part of its latest development push. It also is eyeing a downtown San Jose property three blocks from Caltrain for more than 750 units. Starcity’s model of private rooms paired with shared spaces can boost the number of units or rooms in an apartment project threefold, the company said in a statement Wednesday morning. 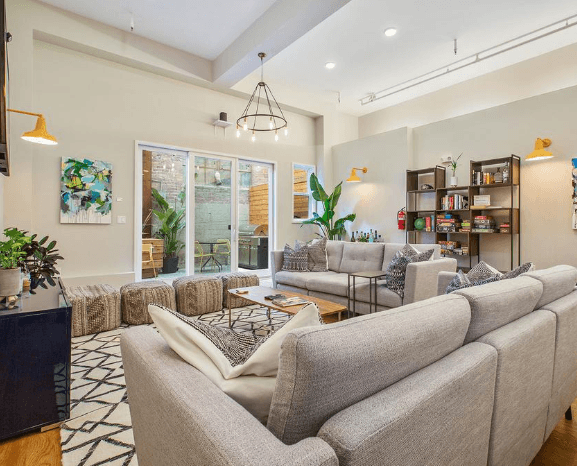 Along with ground-up developments, the company converts and renovates defunct or underused commercial spaces into communal living spaces geared toward a middle-income demographic squeezed by high housing prices. The San Francisco-based housing developer said Wednesday that 50 percent of the units will be affordable in the project at Minna & 5th Streets. Starcity currently has four San Francisco properties it owns and operates, with nine more in the pipeline.